NEWS: Don Broco & Lower Than Atlantis UK tour in October! Tickets go on sale Friday 15th June at 9am. O2 Priority tickets go on sale Wednesday 13th June. 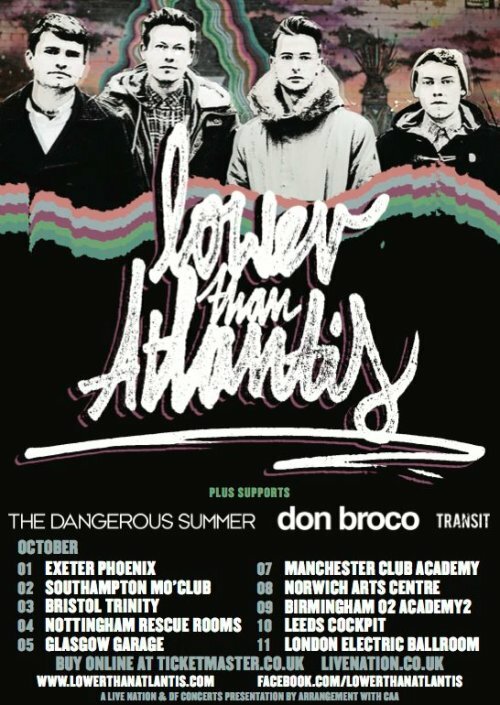 A special fan pre-sale goes on sale on Wednesday 13th June from lowerthanatlantis.com.